2-color 11” x 17” Risograph print. 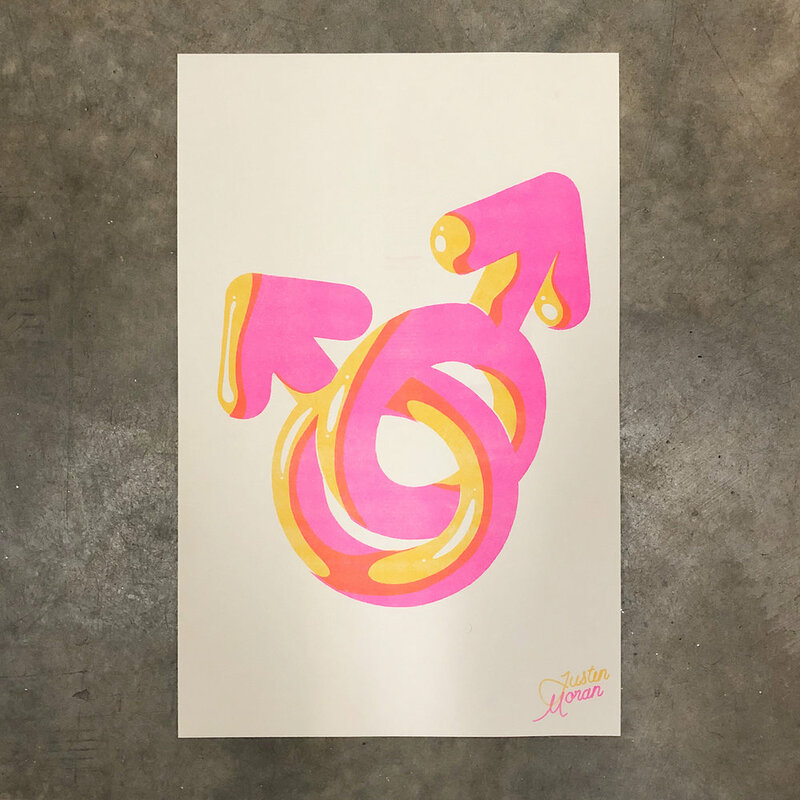 Fluorescent pink, cornflower yellow and the third color created with overprinting on creme paper. 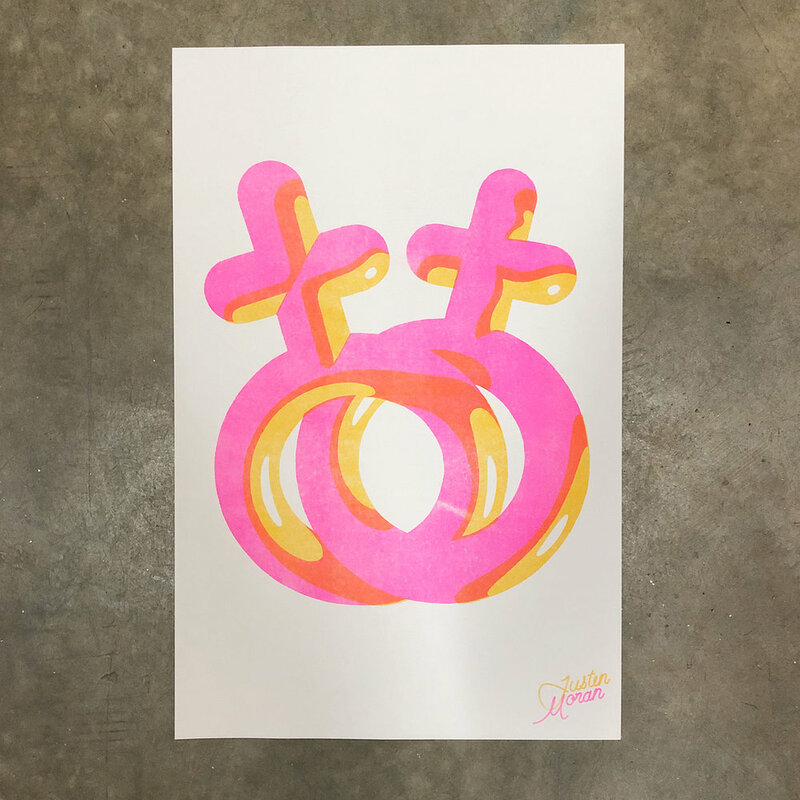 Edition of 20 - Each print is one of a kind due to the unpredictable nature of Risograph printing. Each print having unique registration and textures.